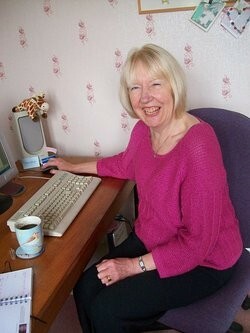 Jill Barry loves reading and writing romance, both historical and contemporary. A Life Less Lonely deals with some serious issues, but is wrapped around with love and fun. Hopefully that's what happens in real life! A second contemporary romance, Devilish Delights, has a much more light-hearted theme and is set partly in London's theatre land and partly in an idyllic area of Wales. The title reflects the fictitious musical Barry created and in which the novel's hero takes the lead role. In Homefront she whisks you back to wartime Britain and the story of a family where the daughter of the house takes over the running of her father's motor garage business so allowing him to rejoin his old regiment. This story has a 'dungarees and daydreams' feel and contains recollections of a much-loved relation.